In November 2018 dismay swept through the global scientific community. A scientist working in China had just announced the birth of two very special twin girls. These babies were carrying changes to their genetic material, which the scientist had deliberately created using a process called gene editing. It’s likely that if these girls become mothers, they will pass on the introduced changes to their children. Their genetic lineage has been changed forever. Researchers knew that in theory the technology could be used for changing human DNA in this way but had been trying to build global and ethical and regulatory frameworks to govern this application. All their efforts have now been swept away, creating fears of a backlash against the underlying technology. One of the most startling aspects of this story is that gene editing really only developed in 2012, a mere 6 years before the birth of these problematic little girls. It’s a technology that has given scientists the tools to change the genetic material of any species, with a speed, ease and level of precision that has never been approached in the past. It doesn’t even require particularly complicated equipment or much skill. Researchers have already shown that they can use gene editing to create crops that are able to thrive in the changing conditions created by climate change and farm animals that are resistant to lethal viral infections. Labs have turned butterflies from a dowdy brown to a brilliantly sparkling blue and brewed beers using yeast that produce the “hoppy” flavour of proper ales, without any actual hops. The range of possible applications is limited only by the imagination. But the very simplicity of gene editing is both its greatest asset and its largest risk. In a world where almost anyone can change a genome, how do we stop biohackers from putting this technology to more malevolent uses? Ranging from treatment of intractable diseases to exploring how ants get back to their nest, this book is an easily accessible guide to the scientific, ethical and societal implications of gene editing. 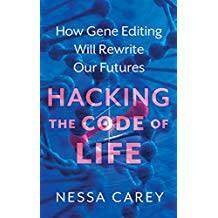 Chinese rights in Nessa Carey’s Hacking the Code of Life: How gene editing will rewrite our futures. 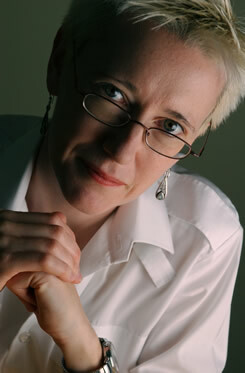 Chinese rights in Chrisopher Moran’s Classified: Secrecy and the State in Modern Britain.